The Celtic True Lovers’ Knot has been appliquéd, quilted, and trimmed, and is now ready for the binding. 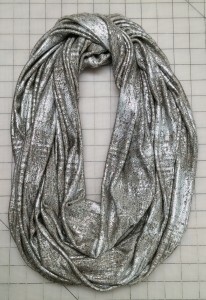 This would allow you to use the completed piece as a wallhanging. 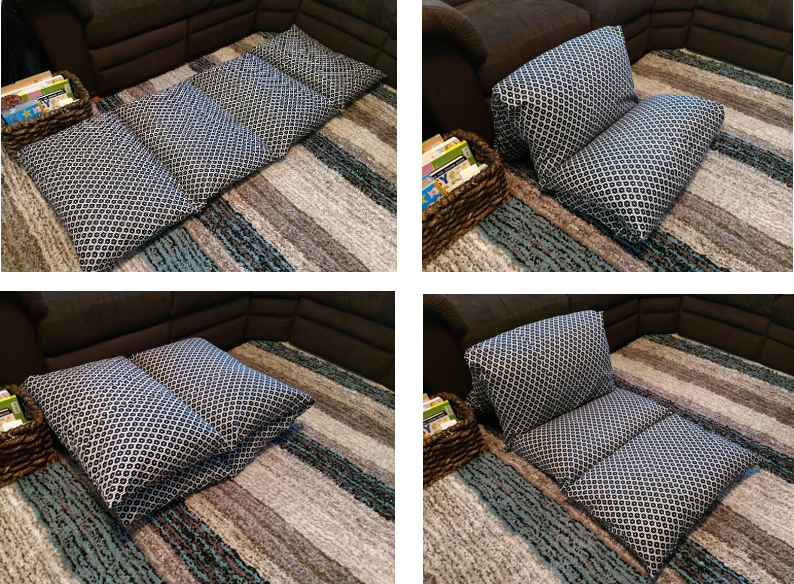 I did consider a wallhanging – I especially liked how it looked when I hung it on point – but I already have several of this design, so I thought it would be fun to turn it into a pillow, instead. 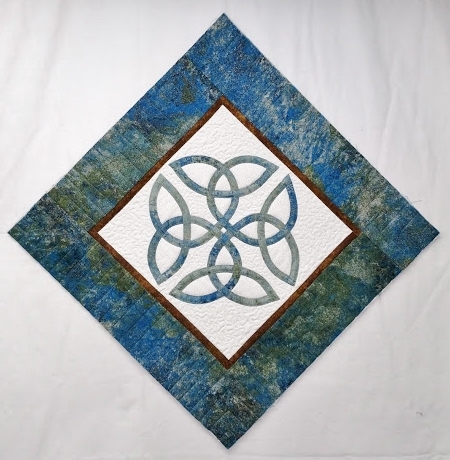 This method works not only with this Celtic project, but with any orphan quilt block or cool fabric that you might have on hand. If you use fabric that hasn’t been quilted, I recommend fusing a layer of Pellon 987F to the back of the fabric before proceeding. I like the extra shape and softness it gives the pillow.